There was a 66% drop in the number of applicants for head teacher posts in secondary schools over two years, new figures show. The Education Workforce Council (EWC) said the situation was not a "crisis". 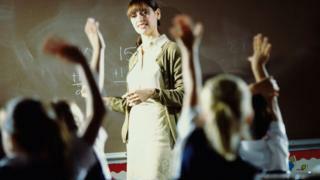 But the regulator said fewer applicants for both secondary and primary head teacher posts was a "challenge". It said the need to get a mandatory qualification to qualify as a head teacher was "a limiting factor" in terms of expanding the candidate pool. A new National Academy for Education Leadership is being established to develop the skills of school leaders. In 2014, there were 18.5 applicants on average for each head teacher or deputy head post in secondary schools. By 2016, there were 5.6 applicants for each job. Overall there are 1,458 head teachers in Wales, about 400 fewer than in 2003. 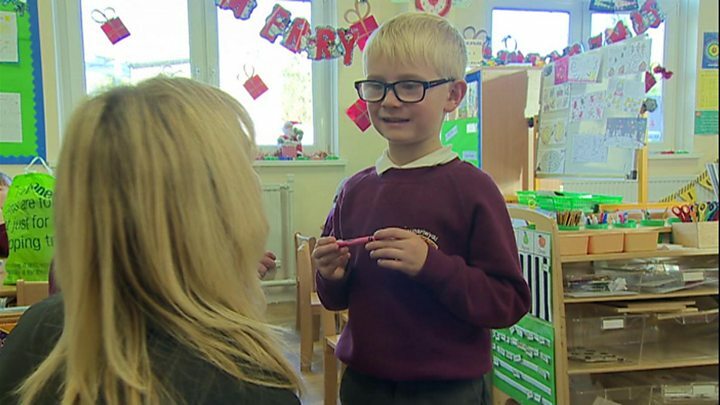 But the EWC, the independent regulator for teachers, said that was mainly due to a drop in the number of schools in Wales and some heads covering more than one school. Media captionRuth Davies, head of Waunarlwydd Primary School in Swansea for the last 13 years, talks about the job. Hayden Llewellyn, chief executive of the EWC, said it was important to monitor recruitment patterns "very, very carefully". He said: "There are not recruitment crises or retention crises in Wales but there are challenges in some areas - that includes head teacher recruitment. "What we're seeing is the number of applications for head teacher posts - both primary and secondary - smaller than in the past and we know some schools are failing to recruit and needing to re-advertise." It is mandatory for school leaders in Wales to get the National Professional Qualification for Headship - a requirement which does not exist in England. Mr Llewellyn said the numbers of prospective school leaders who have the NPQH is limited and therefore the "pool is small" - an issue which policy-makers should consider, he said. One in five head teachers in Wales are aged over 55, and though there is a higher percentage in some local authorities, Wales-wide it has steadily decreased since 2011. About half of head teachers are aged between 45 and 54. 64% of primary head teachers are women, down to 35% in secondary schools - a far smaller percentage than the overall school workforce.